Comes with 1 x 18" TCT saw blade. - 455mm (18”) diameter TCT 120 teeth saw blade (1"Bore x 18"Dia x 3.4mm thick), travelling up vertically to cut timber, from rest position below work table. 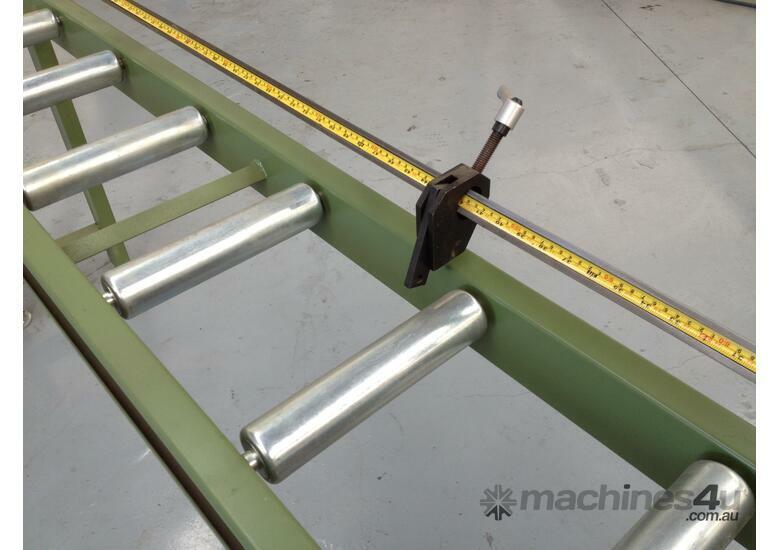 - Cast iron work table on fabricated steel base. 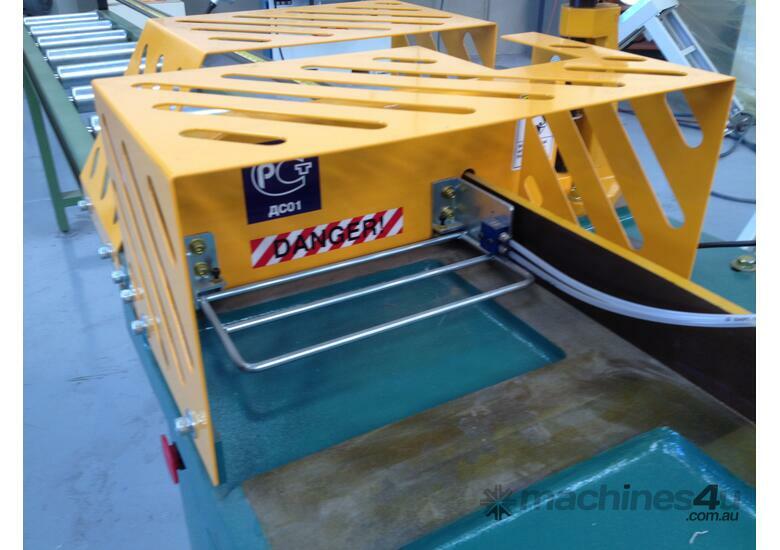 - Heavy moving safety guard to strongly clamp the timber to be cut by pneumatic pressure. 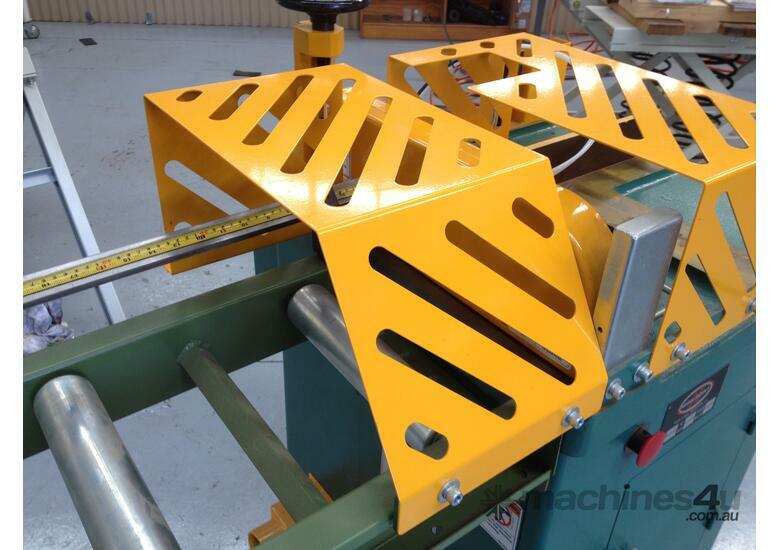 - Overhead safety guards 300mm on each side of saw blade. 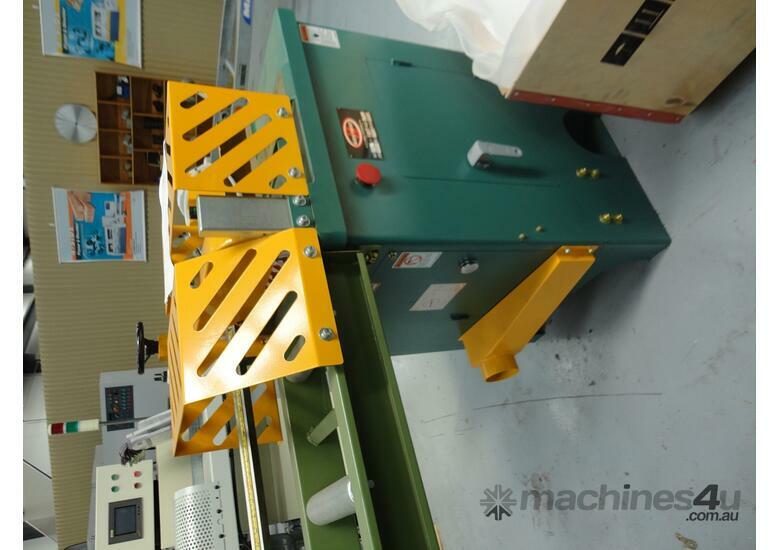 - Two push button switches on front of machine to commence cutting operation. 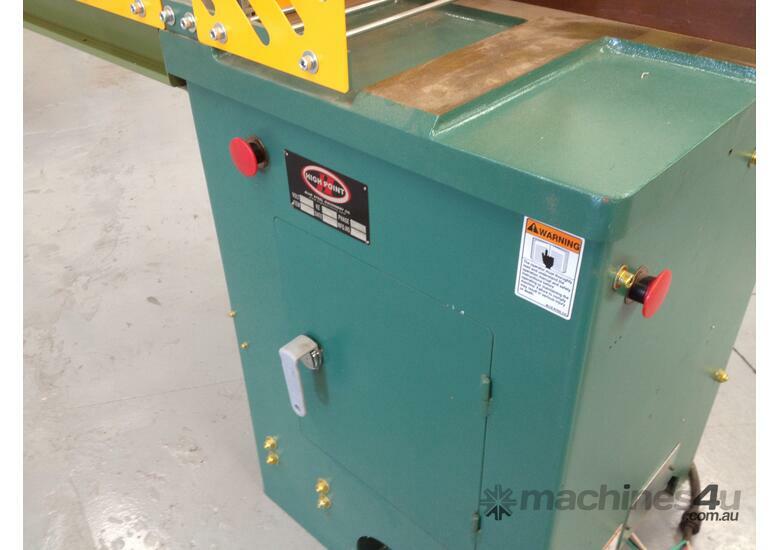 - Hinged door on front of machine for easy access to working parts. 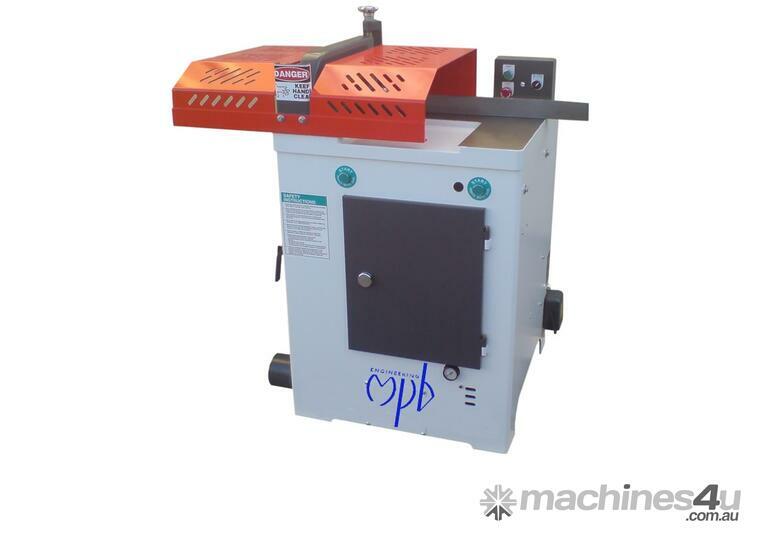 - TCT saw blade included, with 120 teeth. 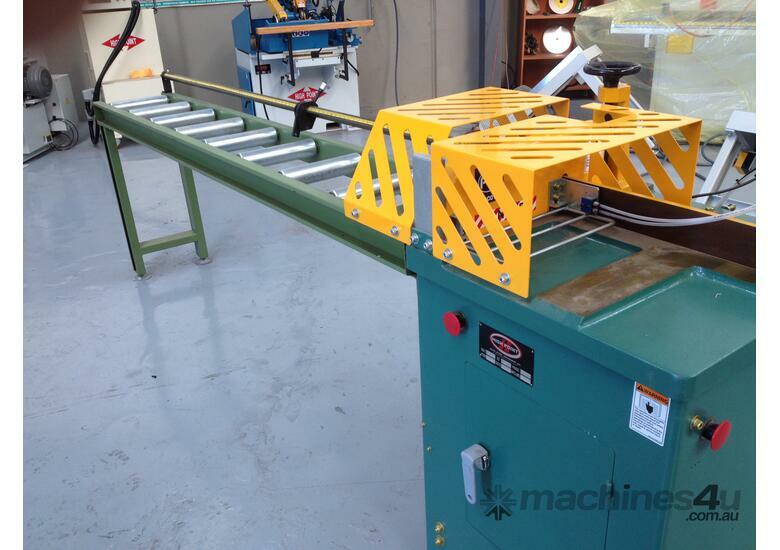 - A well finished, fast and reliable docking saw.